Pandora has added a new feature to Pandora Premium. Called Autoplay, this means you’ll never encounter dead air again while using Pandora Premium. Instead, Pandora will keep on playing music it thinks you’ll enjoy even after you have stopped manually selecting tracks to play. When Pandora launched Pandora Premium Pandora Launches a Premium Music Streaming Service Pandora Launches a Premium Music Streaming Service Pandora is launching an on-demand music streaming service to rival Spotify and Apple Music. The question is can Pandora Premium differentiate itself from the competition? Read More in March 2017 it teased a feature called AutoPlay. This was a beloved element of Rdio, which Pandora acquired in 2015. After months of fine-tuning, AutoPlay is ready for its debut, and will be available in updates to the Android and iOS apps. Pandora Premium is a solid music streaming service. So much so we offered up six reasons to try Pandora Premium 6 Reasons Why You Should Try Pandora Premium 6 Reasons Why You Should Try Pandora Premium Pandora Premium faces some tough competition. However, having tested this new music streaming service for a couple of weeks, we've come up with six reasons why you should try it. Read More . However, it is lacking features compared to Spotify, and both Apple Music and Jay-Z’s Tidal offer exclusive albums. Which means Pandora has to try that little bit harder. AutoPlay means the music will never stop playing, even after you stop telling Pandora what to play. Once you have the option turned on, Pandora will create a radio station based on the music you’ve been listening to, whether that’s an album or a playlist. Which means infinite music. 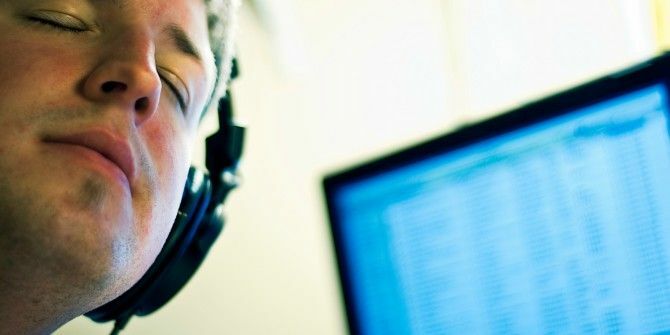 This being Pandora, you can then give each song a thumbs-up or a thumbs-down This Smart Trick Keeps Your Pandora Stations Fresh This Smart Trick Keeps Your Pandora Stations Fresh Pandora is a great music service, but sometimes your stations get a little stale. Here's an easy way to improve them without any effort. Read More depending on your individual tastes. This will further personalize your playlist, with Pandora throwing more songs into the mix it thinks you’ll enjoy and ditching the kinds of artists you keep rejecting. AutoPlay makes sense for certain circumstances. Say, for example, you’re at the gym and unable to pick and choose individual songs while building up a sweat. Or you’re hosting a party How to Get Any Party Started Using Spotify How to Get Any Party Started Using Spotify Whether you're hosting a calm hangout session with some of your closest friends or organizing a crazy all-nighter with whoever the hell shows up, Spotify can help get any party started. Read More and don’t want to spend your time playing DJ when you could be hanging out with your friends. AutoPlay is a nice little feature that makes Pandora Premium more of a player in this crowded market. Unfortunately for Pandora, Spotify already offers the same thing, which it also calls Autoplay. Still, Pandora users tempted to give Premium a try now have another reason to do so. Do you regularly use Pandora? Are you a Pandora Premium subscriber? If so, what do you think of it? How does it compare to competitors such as Spotify and Apple Music? Will you be making use of the new AutoPlay feature? Please let us know in the comments below! Explore more about: Internet Radio, Pandora, Streaming Music.